Hello, friends. 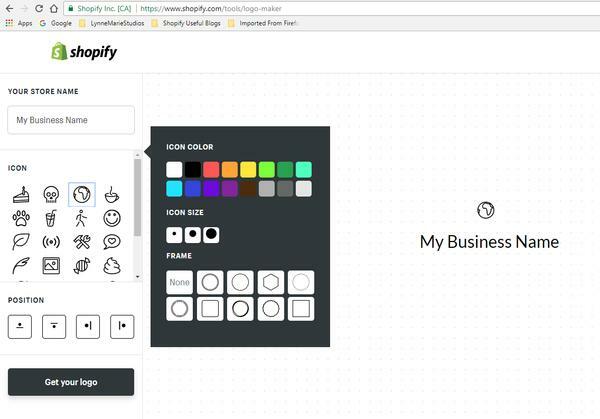 Here's the next lesson in the free e-commerce instructions on setting up your Shopify store. In this lesson, we'll get your store branded so you can begin designing your store's appearance. This is a critical part of the process and should be done now in order to give your store an identifying look. Step 1) Creating a free logo. Your logo should be very simple with about a width of 400, and a height of about 250. So your resolution in any photo editor would be 400 x 250. This logo will be what appears at the very top of your store, either to the far left or as a banner in the top center of your design. This will appear on every page of your store and will give your customers brand recognition. So, it's critical to figure it out now. Let's do some research now to see what successful logos look like on stores that are doing well. Pay attention to their logo backgrounds, lettering, and images. Notice that many of the logos have transparent backgrounds so that the background images of the site itself show through. Some use black backgrounds, too. It's whatever your personal taste is, and what you think is best for your store. 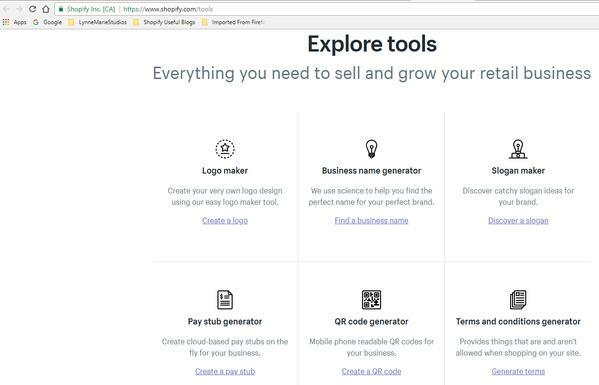 Tip: We'll come back to this page in a later lesson to work on some of the other free tools Shopify provides. This is a great page for you to spend some time on in the future. 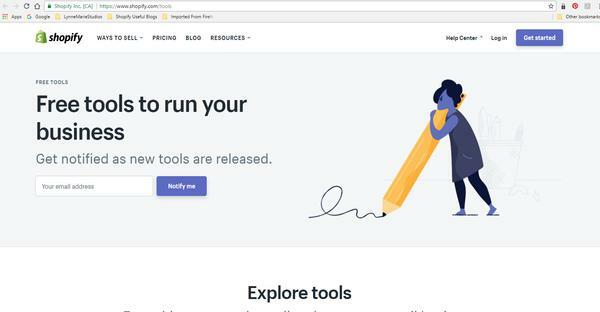 Once you get to the page, it's a great idea to sign up in the box at the top of the page to be notified when they add new tools. 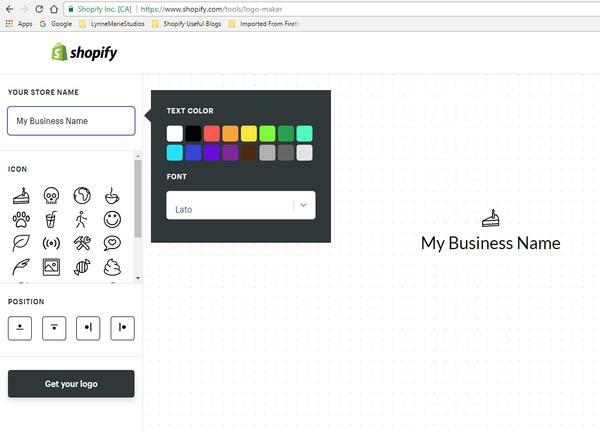 B) Click on "Create a Logo" under the Logo Maker Title in the first box on this page. C) Under "Your Store Name," type in your business name. When you click on the box, a window pops up to let you change the colors. A drop-down box allows you to change the font. Tip: What's great about this logomaker tool is that it uses what's called "WYSIWIG," (pronounced WIZEEWIG) which is an old Internet term that means "What You See Is What You Get." D) Under the store name, you can now choose a little icon image that represents your business. As you scroll down, you'll see "Load More" several times and be able to see more pages of images to choose from. Spend a lot of time here to make sure you know exactly what you want. E) Click on "Get Your Logo" button at the bottom left, and you'll receive it shortly in an email. Perhaps you are wondering, "Why am I creating a logo now?" It's important to start thinking about the branding of your store in the very beginning. This is not something you want to change after your store is popular. Customers would get confused. You'll find some really great, creative designers there with excellent track records with other customers. That's it for this lesson. 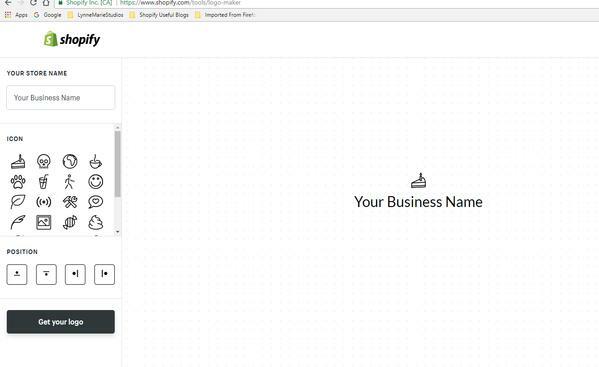 In the next part of Chapter 4, you'll learn how to insert your new logo into your site's design. You'll be choosing a design for your overall store, too. See you then!